To find detailed receipts of your payments, go to Account > Billing. 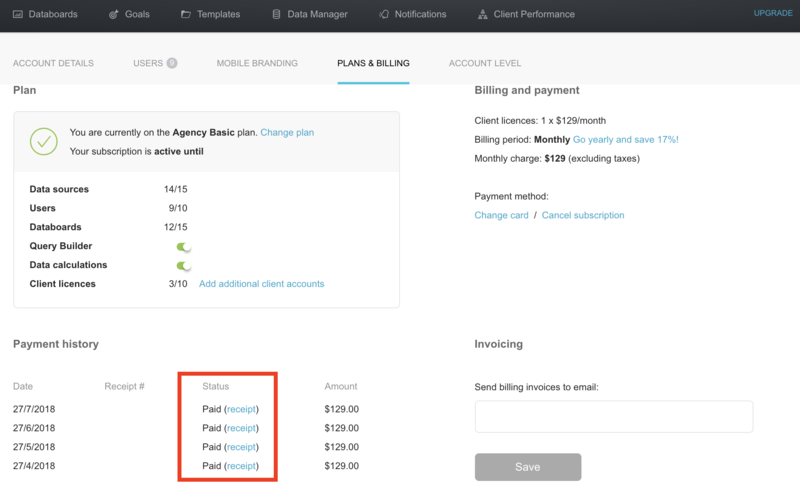 Below your plan limits side is a section called Payment History. Under the Status column you can find links to detailed receipts for each payment that has been made.